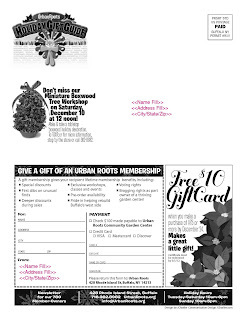 I'm on the marketing committee for the Urban Roots Community Garden Center. 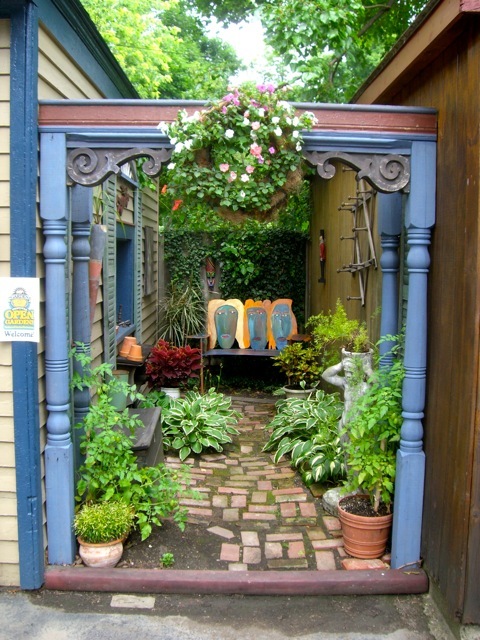 Urban Roots is the only cooperative garden center in the country (at least it was when they started a few years ago). There are 780+ members (I'm member 16). The Marketing Committee meets just about once every two months and the half dozen or so of us try to find creative and thrifty ways to spend the small marketing budget we're given to work with each year. 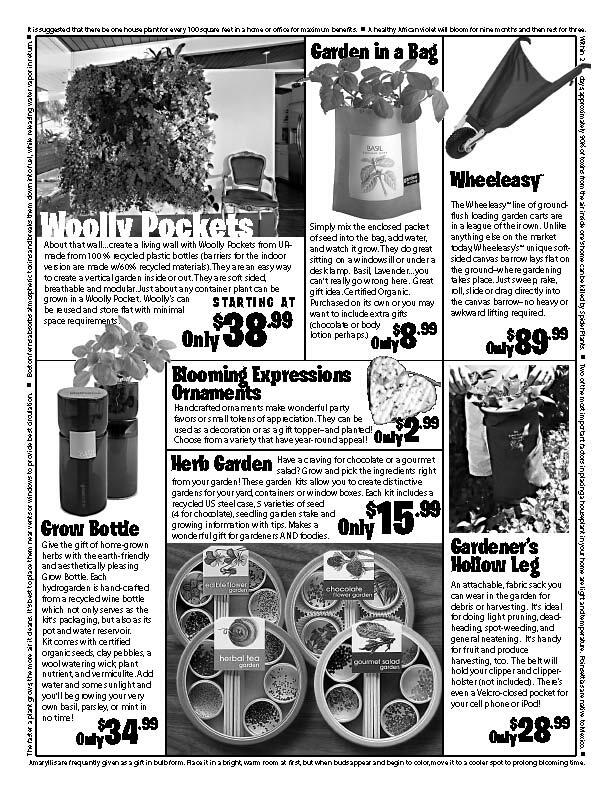 I won't tell you how small the marketing budget is, but it's safe to assume it is less than some of you spend in a garden center in a year. I'm used to marketing budgets in the tens of thousands and have worked on projects in the millions of dollars. Urban Roots is a unique challenge for me. I get to stretch some creative marketing muscles. We're usually weighing the costs, the planning, and the timing of, mailed postcards, member appreciation days, couponing, and our largest expenditure, underwriting sponsorship of WBFO (our public radio station). One committee member suggested we send out a newsletter -- as opposed to the expected postcard -- to the coop's members. We found a printer that could do newsletters, in just one color, for less than the cost of postcards (great find Laura!). The first newsletter was very well received. Many of the postcards sent in the past featured workshops, percentage discounts on single sales, encouraged new members, had coupons for $10 when you spend more than $75 or the like. 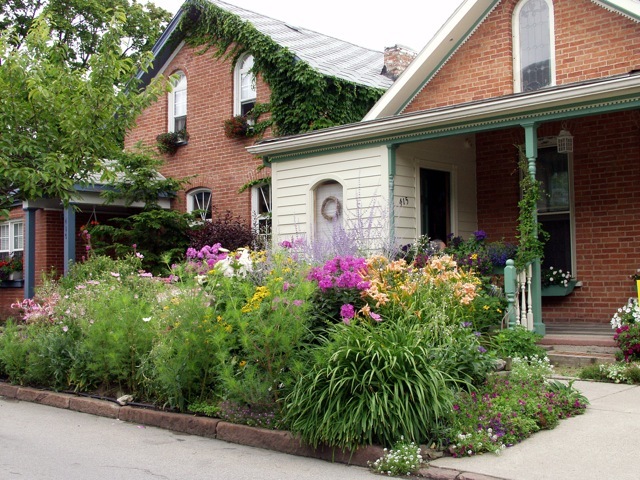 Members liked that we were sharing information and news about the store, and getting a "personal" message from the best cooperative garden center manager of all time, Patti. 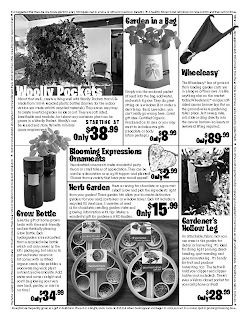 We also had always used mostly words to tell people to come into the store in winter for holiday and hostess gifts -- there's a wide selection of garden-themed gift items, houseplants & supplies, bird houses, garden art, books and tools. 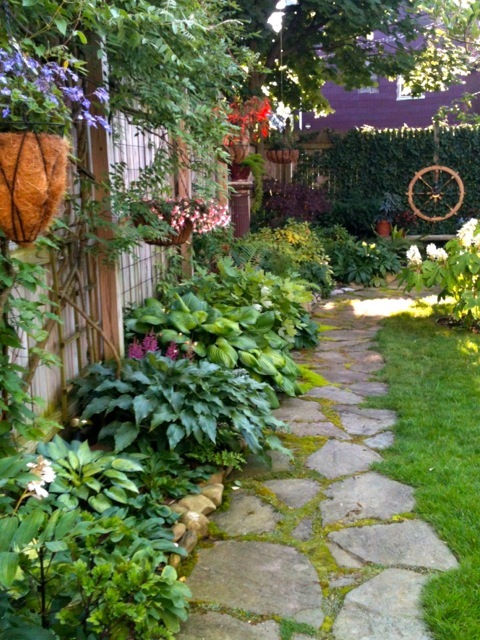 Being such a seasonal business, many don't consider shopping there when there's no plants in the yard. 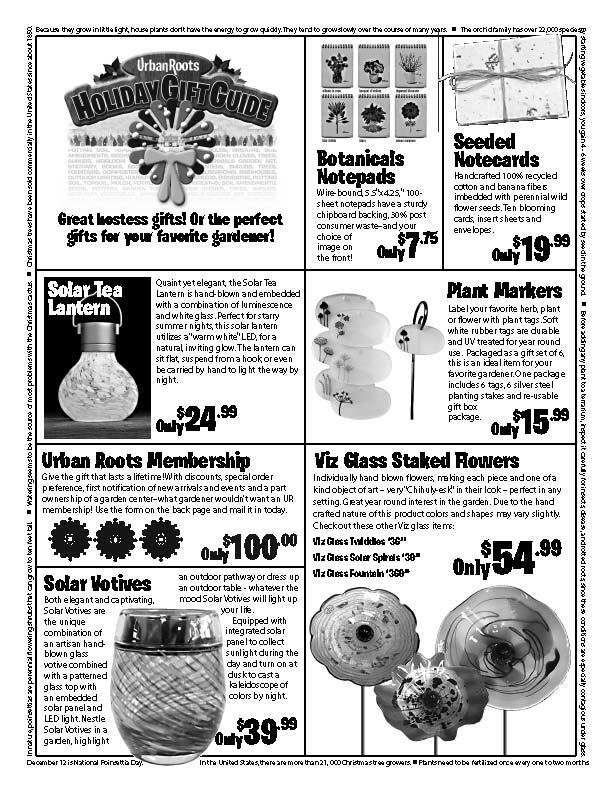 This year, I suggested making the new newsletter a Gift Guide "catalog" of items with price points both high and low. The marketer in me wanted to throw visuals at the members that would not necessarily consider stopping in through the winter, show the range of items available year round, give gift suggestions, and let them know what they're in for price-wise. And it's a retail operation -- I wanted it to look retail -- like the big boys! And because garden education is always important, there are educational, facts around the border of the pages. 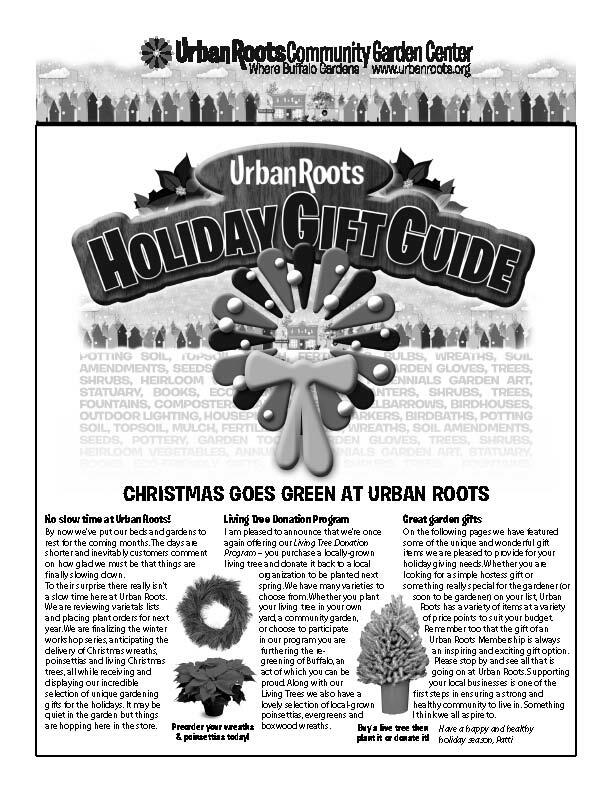 There's seasonal quick facts on Christmas trees, Poinsettias, houseplants, forced bulbs, Christmas cactus, and more. 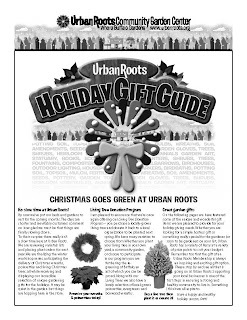 Not only do they have some pretty cool gifts, but they also are offereing a "Living Tree Donation Program" - you purchase a locally-grown living tree -- keep it, or take it back to Urban Roots to care for and they'll donate it back to a local organization to be planted next spring. A deductible Christmas tree! There was also (already happened) a Miniature Boxwood Tree Workshop where you make & take a decorated tabletop Christmas decoration. And of course, we're still offering $10 gift certificates when you spend over $75 before Christmas -- and always pushing gift memberships. it throws good member appreciation parties. So far results from the "Holiday Gift Guide" has been great, surpassing monthly goals for December. Next year? Color and more pages! 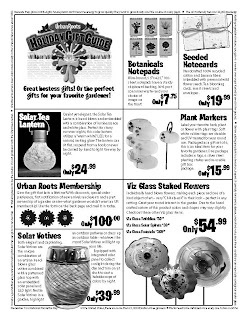 If you'd like, you can download a .pdf of the newsletter here: 2011 Holiday Gift Guide. You don't have to be a member to shop there, and you're eligible for the store $10 Gift Card offer and sale prices. If you live in the Buffalo area -- stop by! Happy shopping!